Archbishop Leo Cushley has launched a fresh bid to have the Venerable Margaret Sinclair declared a Saint. he has also appointed Father Joseph McAuley as a delegate to spearhead the new campaign that could see Margaret declared “blessed” and then “saint”. During a visit to Scotland in 1982, Pope John Paul II described her as “one of God’s little ones who, through her very simplicity was touched by God with the strength of real holiness of life, whether as a child , a young woman, an apprentice, a factory worker, a member of a trade union or a professed sister of religion” with the Poor Clares. Margaret was person who prayed in an intimate personal way with Jesus and to this very practical Christianity also has to be added her deep humility and heroic endurance of suffering. Her body lies in St Patrick’s in the Cowgate. 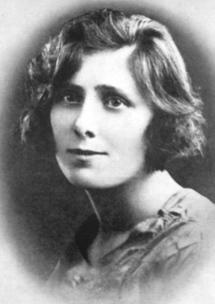 Venerable Margaret Sinclair pray for us. View a short film about her life.